It may seem like it happened overnight, but one day you look down and you have your grandmother’s neck—it’s wrinkled, crepey and starting to sag. Whether due to genetics or years of neglecting the skin below your face, the lines across your neck are difficult to conceal unless you resign yourself to a life of turtlenecks. 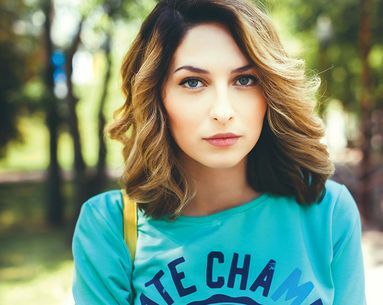 “As we age, our skin loses water and collagen content, and as a result, it becomes drier and less firm,” says San Antonio plastic surgeon Jorge L. Menendez, MD. No matter what causes neck wrinkles, there are several solutions that can help you get rid of the lines on your neck. Side sleeping can lead to neck wrinkles, which are formed by the forceful pressure of your skin against your pillow at night. When done regularly, facial exercises can help tighten your neck muscles and create a more sculpted look. “These exercises, which involve tilting your head, stretching your neck and holding for five seconds, can help strengthen the muscles so the lines aren’t as apparent,” says face yoga expert Fumiko Takatsu. 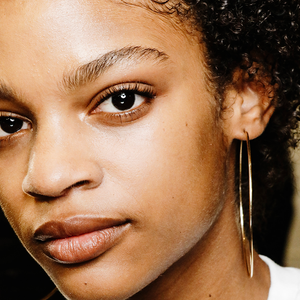 Exposure to the sun’s harmful rays can break down collagen and elastin, causing the skin to lose its flexibility, resulting in etched-in neck lines. 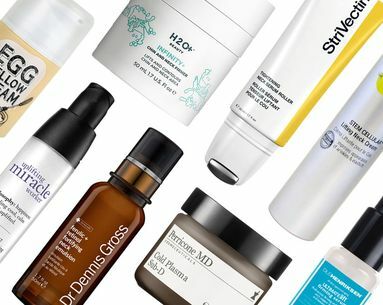 “Skin on the neck is thinner and has fewer oil glands than facial skin, making it drier and slower to heal from sun damage,” says Dr. Menendez. 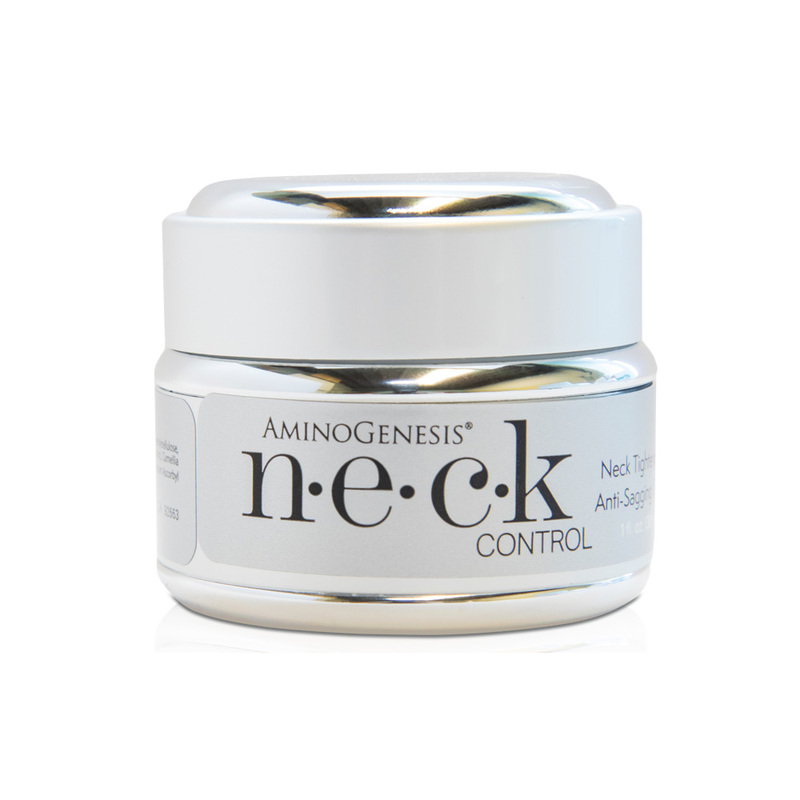 Ingredients like edelweiss plant stem cells, found in AminoGenesis NECK Control ($50), can help tighten loose skin under the chin. If the cause is loose skin due to fluctuations in weight, a neck mask may help firm the skin. According to Los Angeles facial plastic surgeon Michael Godin, MD, weight loss and gain are major causes of premature aging in the neck. “Drastic weight loss and gain in a short time can cause the skin on your neck to expand and contract, leading to sagging skin and pronounced neck bands.”When you are searching for solutions on how to get rid of neck wrinkles, a neck mask incorporates the same skin care ingredient infusion that have made face masks so popular. 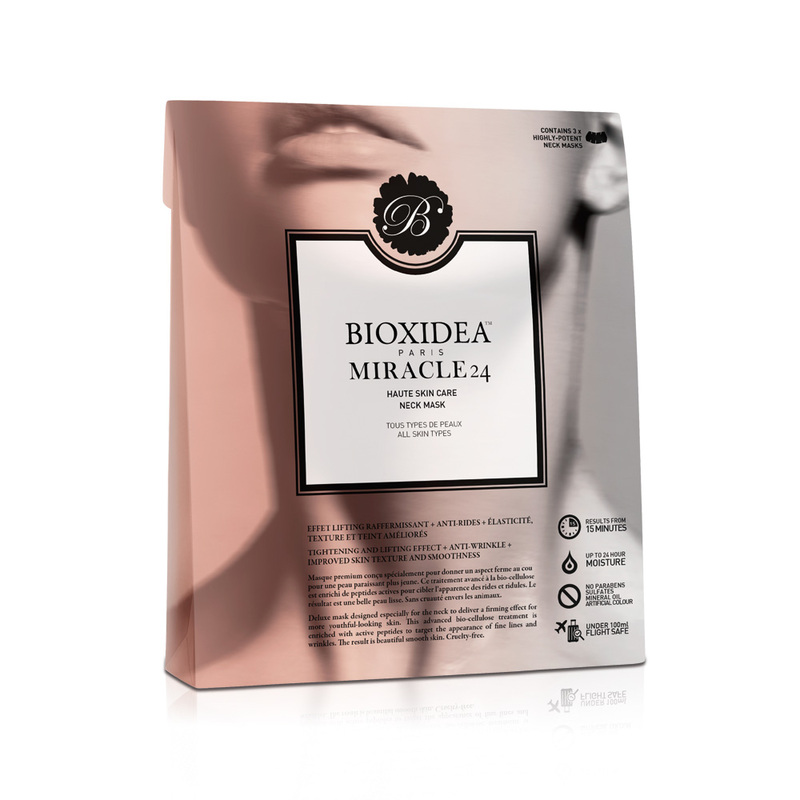 Bioxidea Miracle 24 Neck Masks ($59) use advanced peptides to reduce fine lines and wrinkles on the neck and arginine to boost firmness and elasticity. If the cause is years of neglecting to care for the skin on your neck, a toning device can help get it in shape. 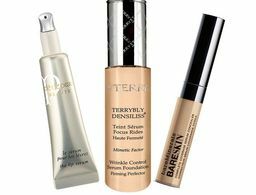 You may have forgotten to include your neck and décolleté in your daily skin-care routine. 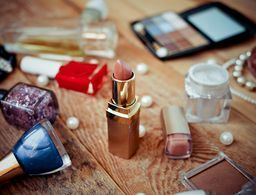 Neglecting to care for it just as you do your face leaves it more susceptible to developing wrinkles and bands over time. 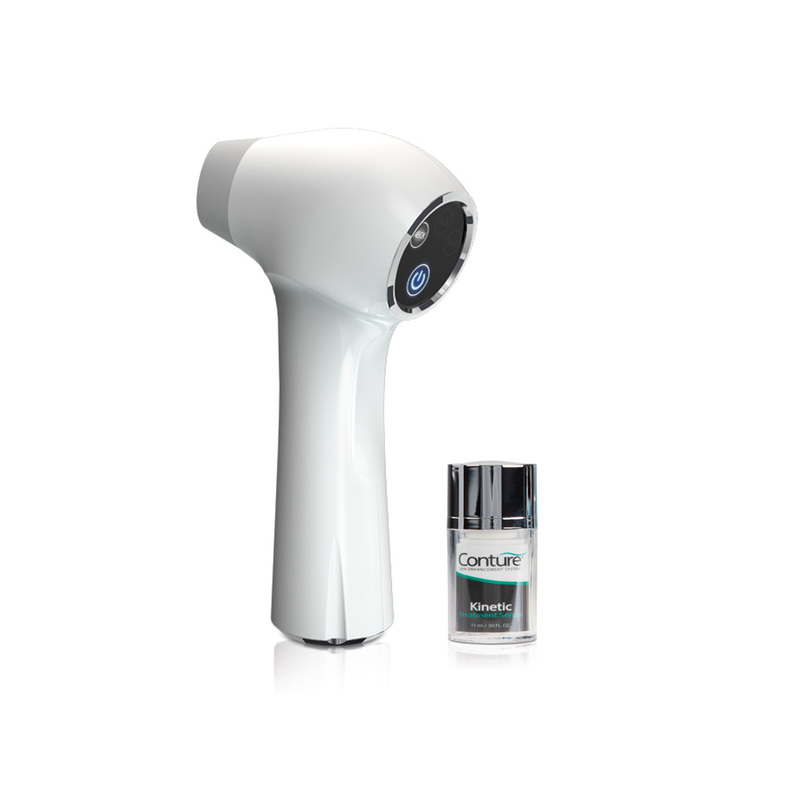 The Conture Kinetic Skin Toning System ($249) uses a gentle vacuum that lifts and releases skin to tighten and stimulate it, while low sonic vibrations improve the skin’s ability to absorb anti-aging creams and serums. 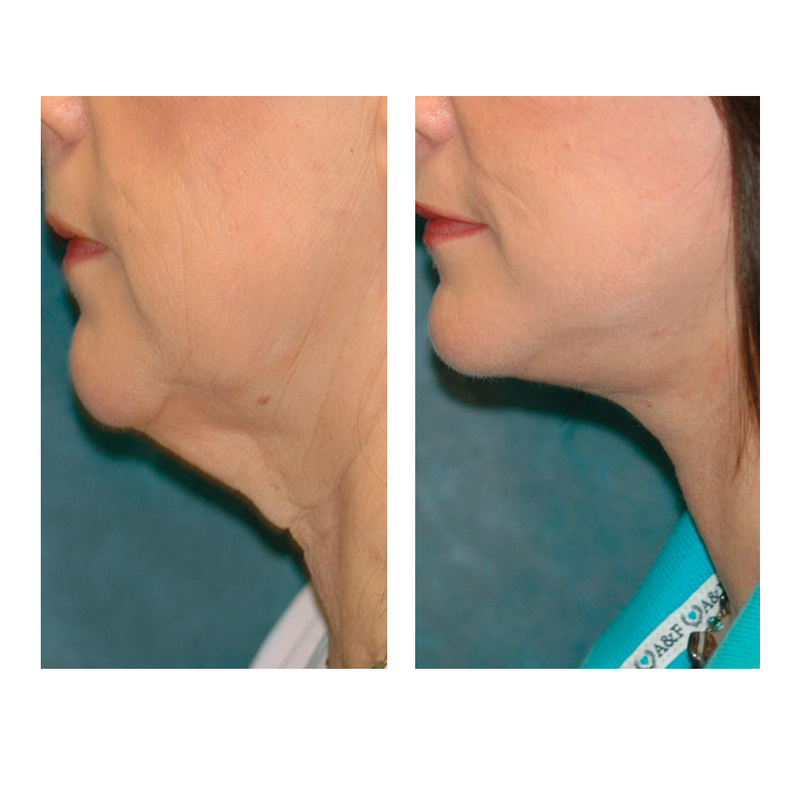 If the cause is genetic, a necklift will get rid of excess skin and restore youthful contours. Patients who are genetically predisposed to skin laxity may need a more permanent fix. 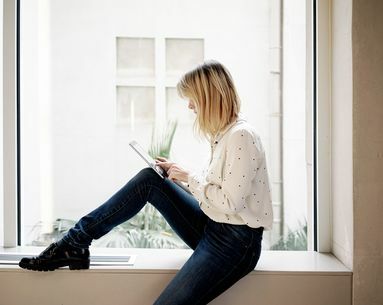 Nonsurgical treatments like Botox (to diminish lines), Ultherapy (to tighten skin) and CoolMini by CoolSculpting and Kybella (to reduce fat) can help, but for severe neck bands and saggy skin, a necklift gives lasting results. “I restored this patient’s neck and jawline by performing a necklift and getting down into the underlying muscle and tissue to firm it up,” says Dr. Godin.